Rush Service : 1 business days - The Dog Waste Bag Dispenser conveniently secures plastic bags when you need them the most. 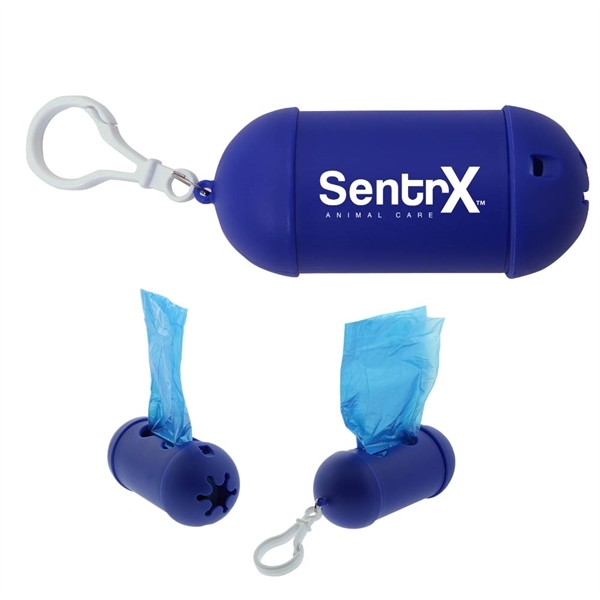 Fits comfortably in a purse or pants pocket. It comes with 15 plastic bags. Ship Weight:22 lbs, The factory has a full service fulfillment facility that can accomodate any packaging needs. The factory has full service fulfillment facility that can accommodate any packaging needs. Call for a quote on any special packaging and fulfillment services required. There will be per pallet charge for palletizing.